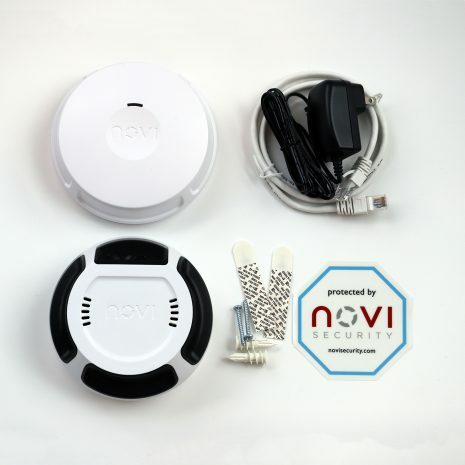 With real-time visual notifications, motion and smoke detection, and a 90dB siren, Novi helps you stay in the know wherever you go. 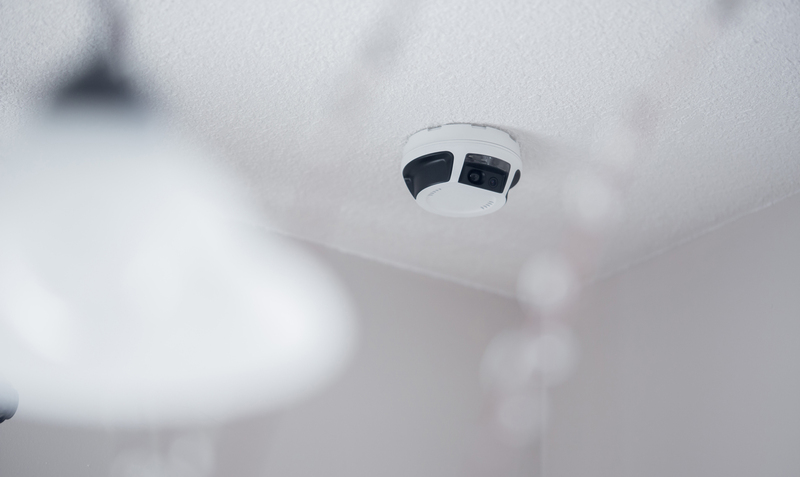 Ensure your home or business is safe from unwanted guests and fire. 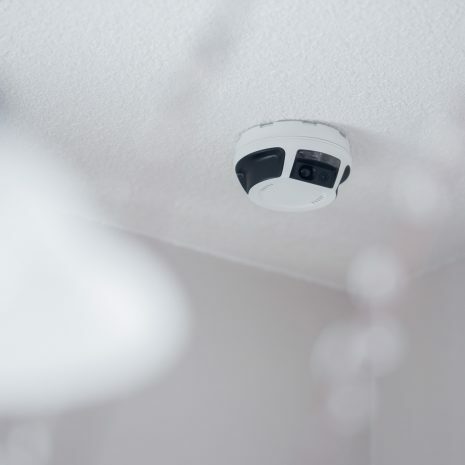 Combines a (1) HD camera, (2) motion detector, (3) smoke sensor, and (4) siren into an all-in-one device that goes on the ceiling and looks like a smoke detector. 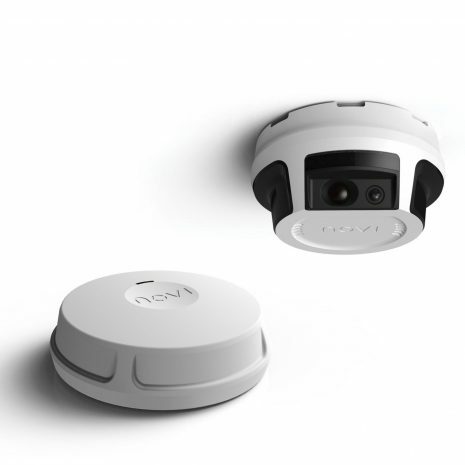 With 4 AA alkaline batteries, this Novi Cam gets over one year of battery life. 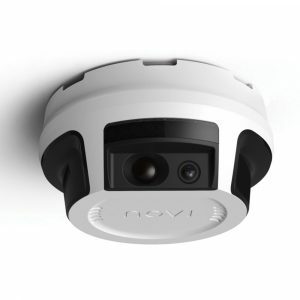 Once this system is armed using the Novi app on your smartphone or tablet, if it detects motion or smoke, it sounds an alarm and sends visual verification to your connected smartphone. 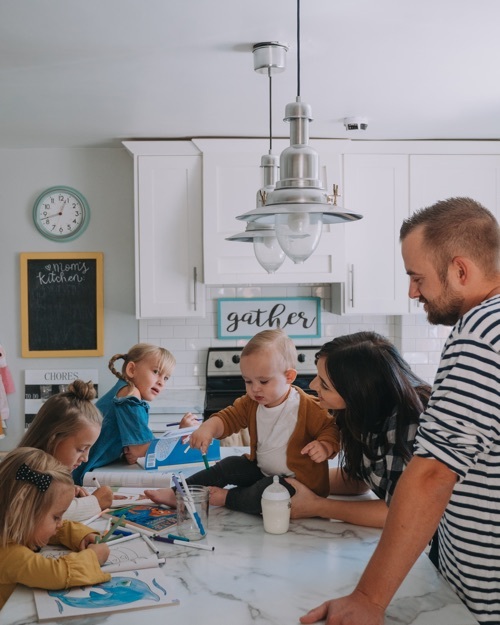 Using the app, you can decide whether to (1) call the police or fire department assigned to your home or business, (2) sound the siren (if it’s not set to sound by default), (3) request an updated visual, or (4) dismiss the alarm if everything is okay.